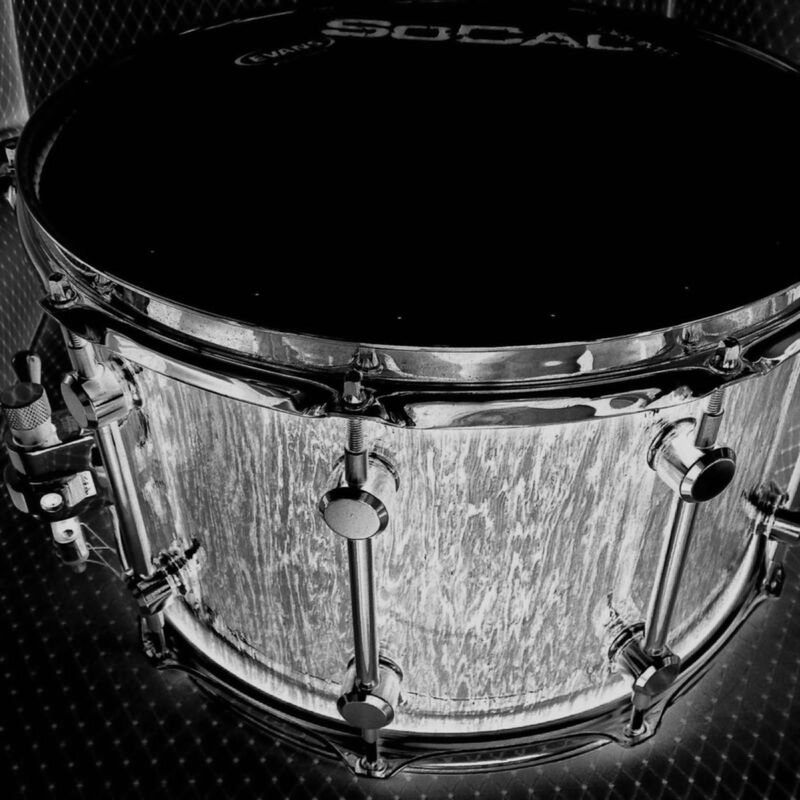 Each SoCal Drums custom snare is built to order. We offer stave shell and segment shell constructed snares. Many exotic woods are available. -	We proudly use HUMBLE drum lugs on our drums. -	We also have a few snare throw offs (strainers) available. -	Drum hoops are offered in 2.3mm steel, 3.0mm steel, cast aluminum, marching hoops and wood hoops. -	Each, fully assembled, snare comes standard with Evans drum heads and Puresound snare wires. If you prefer another brand of drum head, we can accommodate your needs. -	Locking tension rods come standard on all custom snares. (priced $700 and up) otherwise locking tension rods are an additional $30. -	Finishes: Hand rubbed oil, clear urethane, color/oil, or color/urethane.